Everything you need is just one a drill down away. If you are working in a standalone 3d modeling environment such as Rhino 3D, SketchUP or Modo, you embrace a right tool for the right job workflow pipeline. And if you are using an integrated suite such as MAX, Maya or Shade 3D you understand that options aren't getting any easier to use. FluidRay RT lives at the end of your pipeline and it doesn't force you into any one specific tool set for content creation. FluidRay RT is a complete, standalone application with built in support for all the major file formats you are likely to use in a digital production environment. For deeper integration with specific applications, you also get all available integration plugins that are customized according to the specific requirements of the platform. Access your library of saved elements from the Library. Create your own new libraries, add / delete folders and make your libraries accessible to others. 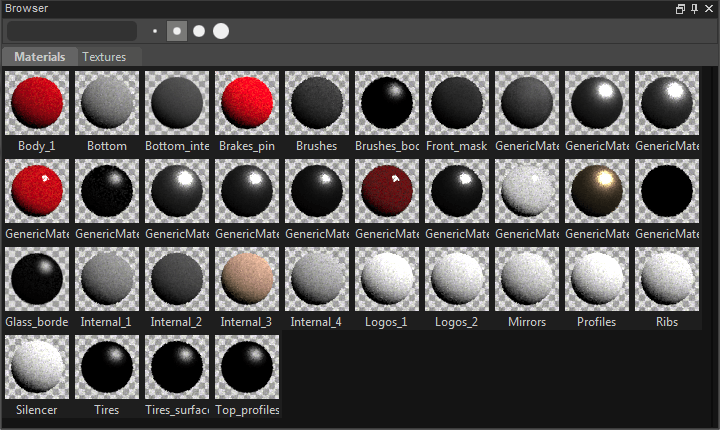 Rapidly find, preview and apply your textures and materials. This includes any textures imported into your open FluidRay RT project. Search for materials by name. Click between preview sizes. Take total control of every aspect of your project in the node-driven Graph View window. 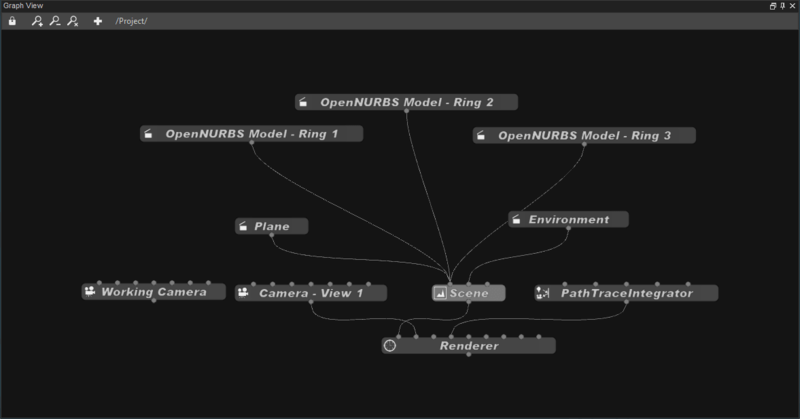 Add nodes with the Add Note button, new inputs / outputs, objects, instances and more. Any node you select within Graph View is instantly accessible for editing within the Attribute Editor. Drill down to access the properties of any object within your FluidRay RT project. Click on the object, and you have granular access to every property of the object. Every object corresponds exactly to what you see in the Graph View and Render View. 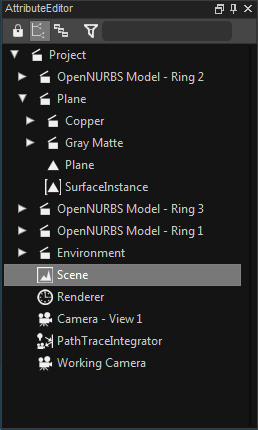 Select an object in the Attribute Editor and the Node for that object is automatically selected in Graph View. 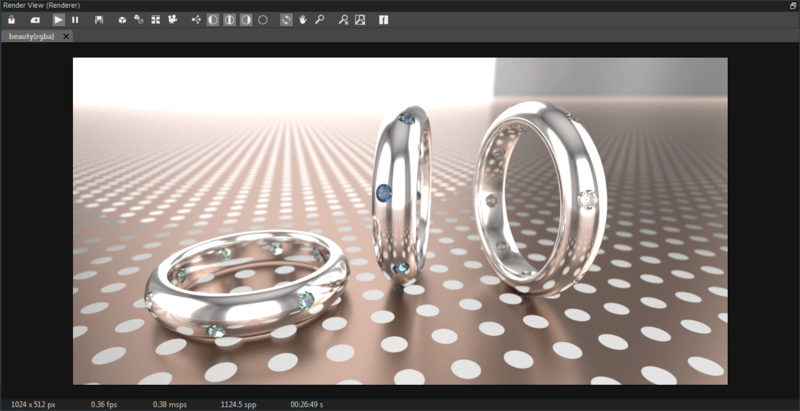 Render View is where you take control of your renders. Start / Stop / Resume, Select Render Mode ( Standard, Shaded, Wireframe, Wireframe on Shaded, Ambient Occlusion, Direct Lighting ), Channels (Red / Green / Blue / Alpha) and direct Camera control (Rotation, Pan, Zoom, Zoom Extends, Zoom Extends Selected).